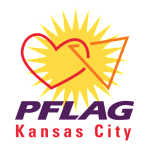 Ken has spent the last eleven years working to empower LGBTQIA youth and their allies as one of the founders and board president of PerformOUTKC. He believes that communities will be united and healed by the power of young people sharing their voices through the arts. Ken has a BS in music education from Lindenwood University and has been involved in some form of performing arts most of his life. Career and volunteer work have allowed him to develop skills in organization, facilitative management, strategic planning, community engagement, marketing and development. He has served several not-for-profit organizations in event planning, volunteer coordination, membership services and board development. Ken currently works as the Volunteer Manager with Habitat for Humanity of Kansas City. He has also contributed his time and talents to facilitate board retreats for community organizations and plans to continue serving in a facilitative and advisory role. Mr. Strickland is grateful and excited to begin this new chapter of his life in the role of Vice President of FCPA. Ken’s passion is contagious! Please join us!